In addition to selling high quality used machinery from world class manufacturers. We also design and build our own machinery. The use of this software is to ensure maximum life and performance of our products. We have invested in the latest technology with 2 in house 3D printers allowing us to undertake various kinds of prototyping FDM 3D printing in house. Investment has also been made in our workshop increasing our in house manufacturing capabilities. We refurbish individual machines or complete lines to provide a cost-effective solution as an alternative to new machinery. We have now supplied more than 1000 machines worldwide stretching from Malaysia to Canada. We have supplied machinery to start-ups to major multinational corporations. 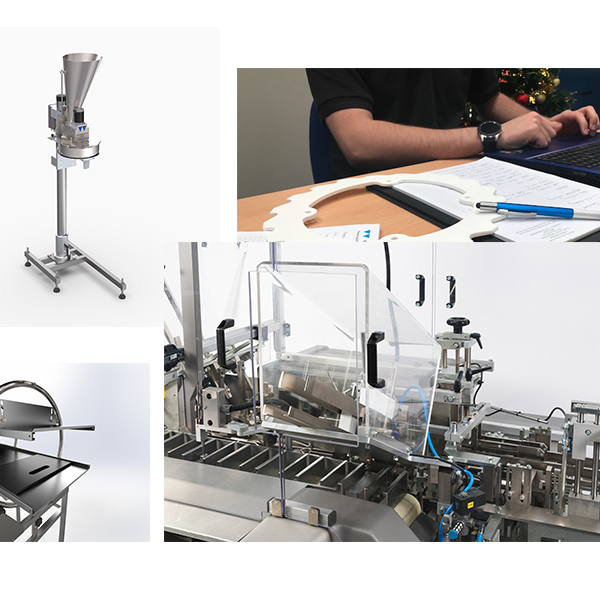 We also have a growing list of companies we are agents for in the UK which allows us to offer an ever-increasing portfolio of new machinery and services. West Pharmaservices has now been trading for over 20 years and remains a family run business offering the very highest levels of service to our customers. West Pharmaservices are proud to announce our new technology partners on all our future projects. Omron’s primary business is the manufacture and sale of automation components, equipment and systems. For more information on Omron please visit their website. WAGO’s mission is to satisfy its customers’ needs by supplying quality products on time, through its most valuable resources—its people and innovation. Indeed, for over 50 years, WAGO has built a foundation on innovation through industry-changing technologies and revolutionary new products. But it is the company’s services, concepts and people operating behind the scenes that ensure WAGO’s continued success. The conceptual shift away from considering automation projects in isolation to offering total solutions with compatible components is the driving force which enables WAGO, as a component supplier, to develop new and innovative products and bring them to the marketplace. As the inventor of the spring pressure termination technology, WAGO relies on these innovative connection systems to develop electronic subsystems as well as electrical connectors. For more information on Wago please visit their website. Development, manufacturing and sales of graphic operator interfaces and control equipment for industrial automation applications. For more information on Pro Face please visit their website. The cartoner and Casepacker are now working very well since your intervention thanks for all! Thank you for all your help and support over the last year. We have all found West Pharma to be a fantastic company to work with and look forward to a continued mutually beneficial relationships in the coming year. Just for your information the high speed cartoner is running extremely well. Its running daily to plan provided other issues on the line do not prevent it. Really pleased thanks to all the team. Your shipment and the machines arrived in perfect condition. The machinery looks like new! Please send us your final bill and we will immediately pay it. Once more thank you for the perfect and pleasing service. Just a quick email to say we are running the machines and are pleased with the performance. I will personally make sure the balance payment is done soonest. Please send me your latest machinery catalogue as we wish to buy some more. Please pass on my sincere thanks to the guys for an excellent piece of work over the weekend. As expected everything went to plan and we were able to validate the unit ready for this morning. All is well over here and the lines are working great no problems.